This morning, I happened to see something black in my shoe as I was slipping on my shoes. Upon further investigation, I realized it was a cricket which immediately made me think of Sammy. In light of that, I thought I’d share a past entry I wrote for Sammy’s website. 8/11/08 – As much as I try to avoid thinking about it, this week is a difficult one as most of the kids in our area are headed back to school. This year, Sammy would have begun kindergarten. Just before he passed away, we had begun the early discussions about the possible options available to him. We had hoped that his preschool teacher might also be his kindergarten teacher because she is such a great teacher. 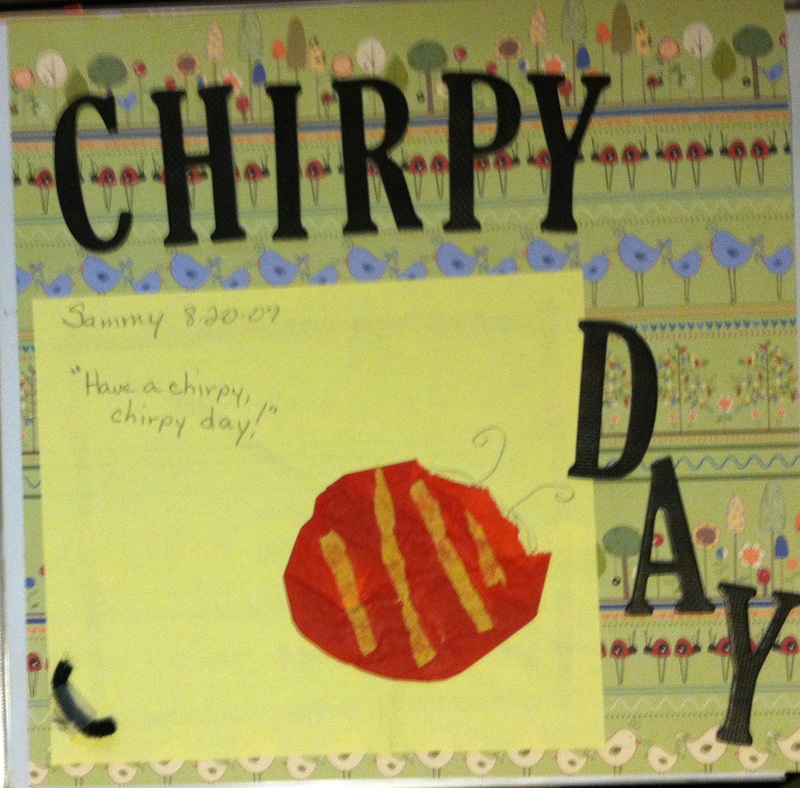 Last year, the children in Sammy’s class found a cricket in the classroom, and because they were interested in crickets, his teacher incorporated a cricket theme into their weekly lesson. 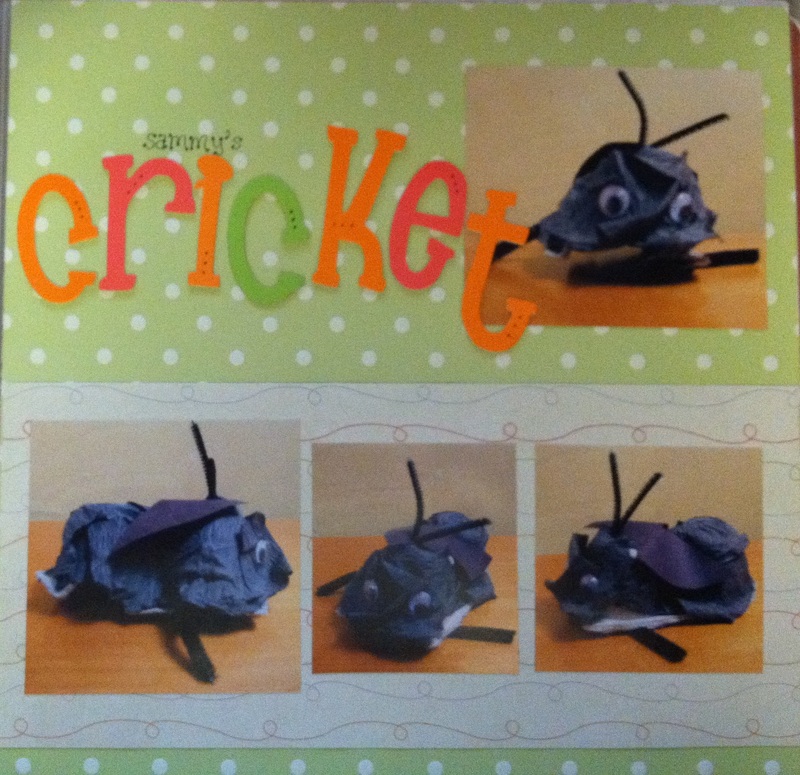 They learned about crickets–where they live, what they eat, how they make their sounds–and they made their own cricket representations using tissue paper, pipe cleaners, and egg cartons. One little cricket managed to find its way into the classroom, and because his teacher was inspired, Sammy learned all about him. Last week when I had trouble sleeping, I stayed up late watching TV in the dark. Suddenly, I felt something fall onto me, and I looked up to see what it might be, but of course, it was dark so I didn’t see anything. Still not feeling comfortable about what it was and fearing what it could be, I began investigating, and that’s when I saw the culprit on the carpet. A big ol’ cricket! I’ve since found three crickets in the house so far! Sammy may not be going to Kindergarten this year, but I think he’s still playing the role of class clown by pulling pranks on me!